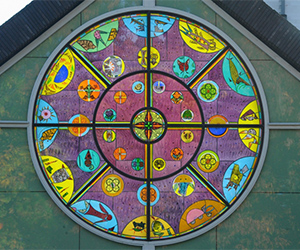 The Washington Glass School is a unique educational program in the Nation’s Capital area, operating as the sculptural glass education, artistic and community center and resource for the mid-Atlantic region, serving students, artists and the general public. 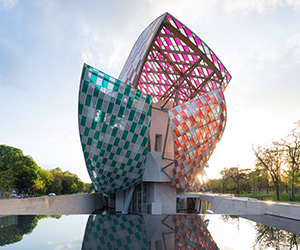 It encourages research and exploration of new techniques in all aspects of glass (kilncast, fused, cold worked) as well as other media such as steel, ceramics, lighting and concrete. Our goal is to introduce artists in other media to the depth, processes and joys of glass to enhance their work. The classes offered include hands-on instruction and workshops introducing a variety of glass techniques along with more specific courses. The School also brings in guest instructors for warm glass weekends and/or week-long concentrations and workshops. Current course offerings include beginning and advanced fusing, fusing with plate glass, blown glass (in collaboration with DC GlassWorks), cast glass and steel sculptural development, and architectural lighting. The focus is on the exploration and creation of artwork, sculpture and lighting, including jewelry and architectural elements (lighting, tiles, tables). Our classes are scheduled with urban living in mind, and are typically held on evenings and weekends. We are proud to announce our new “Sister School” program here at Washington Glass School. You will notice that in several classes we have joined forces with DC GlassWorks to bring you exciting crossover classes. This continues our efforts to bring you the most comprehensive and interesting classes in the region, and to join with other glass programs to bring to you a wider variety of educational opportunities. The Washington Glass School has started the secure online payment option for most of the classes via PayPal. Scroll below to see the online purchase options! Or pay the old fashioned way – please call the Registrar (M-F, 10 am til 5 pm) with credit card info – or mail a check made out to Washington Glass School. Be sure to include the course number and your phone number with your deposit. If there are any problems, email erwin@washglass.com. Class 1601 - MIG Welding For Dummies! Class 1602 - Fancy Frits! Class 1606 - Audrey’s Weekly Super Bowl Party! The Washington Glass School is pleased to present, “The Aberrant Collection of the Spurious Calamus”, by glass artist Audrey Wilson. This new collection of works will be her first solo s?how and will feature her mixed media sculptures. 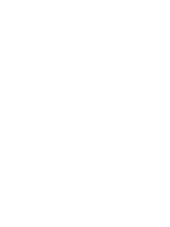 The opening reception will be held at the Washington Glass School on January 11, 2014 from 6-8pm. The exhibition will be on view through January 31, 2014 and is free and open to the public. Audrey Wilson sculptures are a blend of created and altered elements that reflect evolving science and machinery and explore the relationship between man and technology. “The Aberrant Collection of the Spurious Calamus” captures our complicated relationship with technology, mirroring it back with poetic glances. Opening with an artist reception on Friday, January 3, 2014 from 7-10pm is Primary Colors at Del Ray Artisans’ gallery in Alexandria, VA. This all area artist show kicks off the New Year with an artistic challenge to create artwork using only the three primary colors. ?Curator and glass artist Betsy Mead challenged Del Ray Artisans and all local-area artists to think outside the box in using basic red, yellow, and blue to create their compositions. The only restrictions were that artists must not tint or mix primary colors; they could use white and black to highlight, outline or lowlight objects in their compositions. In conjunction with the Primary Colors exhibit, the non-profit artist group will feature the movie Primary Colors, a 1998 drama based on the novel Primary Colors: A Novel of Politics. ?Opening Reception on Friday, January 3 from 7-10pm: Chat with the artists in the show and other art appreciators during the reception! View the Show: January 3 – February 2, 2014 during gallery hours at Del Ray Artisans gallery at the Nicholas A. Colasanto Center, 2704 Mount Vernon Avenue, Alexandria, Virginia 22301.